204 pages | 20 B/W Illus. Morphological research studies the physical form of landscapes, including how landscape structures function and operate, the adaptability of forms, and how functions and forms change over time. 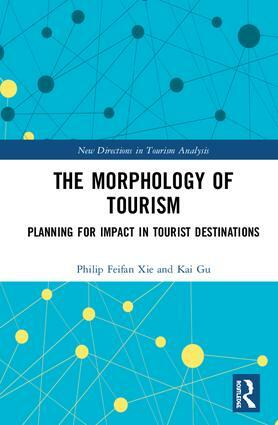 Applying the methods and models of morphology to tourism, this innovative book explores some of the complex relationships between tourism and morphological changes in urban and rural destinations across the globe. Tourism-related impacts on the physical environment and sociocultural values surrounding a given destination reflect the need for both theoretical and empirical approaches to strengthen our understanding of the ways in which tourism functions. This study examines key sectors and locations such as coastal tourism, urban tourism, and waterfront redevelopment, which are increasingly important in terms of their influence on sociocultural and morphological transformation. It advocates that awareness of the critical link between temporospatial impacts and morphological progresses is necessary to accommodate changes within a pattern of evolutionary growth. International in scope, employing case studies from Asia, Australasia, the US, and Europe, this book makes a newcontribution to the literature and will be of interest to students and researchers of tourism planning, urban design, geography, environmental studies and landscape architecture. Philip Feifan Xie is Professor of the Tourism, Hospitality and Event Management program at Bowling Green State University, Ohio, USA. His areas of specialization include cultural and heritage tourism, tourism analysis, and event management. Kai Gu is Associate Professor of the School of Architecture and Planning, University of Auckland, New Zealand. His areas of specialization are in urban morphology and urban design. Although tourism is becoming increasingly popular as both a taught subject and an area for empirical investigation, the theoretical underpinnings of many approaches have tended to be eclectic and somewhat underdeveloped. However, recent developments indicate that the field of tourism studies is beginning to develop in a more theoretically informed manner, but this has not yet been matched by current publications. The aim of this series is to fill this gap with high quality monographs or edited collections that seek to develop tourism analysis at both theoretical and substantive levels using approaches which are broadly derived from allied social science disciplines such as Sociology, Social Anthropology, Human and Social Geography, and Cultural Studies. As tourism studies covers a wide range of activities and sub fields, certain areas such as Hospitality Management and Business, which are already well provided for, would be excluded. The series will therefore fill a gap in the current overall pattern of publication. Suggested themes to be covered by the series, either singly or in combination, include - consumption; cultural change; development; gender; globalisation; political economy; social theory; sustainability.